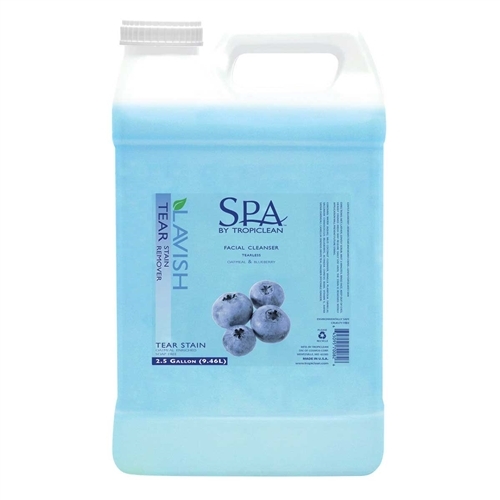 SPA Lavish Blueberry Tear Stain Remove is mild, yet concentrated, lightly foaming facial cleanser soothes and balances the skin. It has natural exfoliating activity and is slightly hydrating. The refreshing blend of vanilla and blueberry effectively removes dirt and tear stains, and will not irritate eyes. SPA Facial Cleanser is great for all skin types and pets of all ages. Massage it well into the coat. thoroughly into the stained areas.